Get valuable tips and techniques for automating your cloud deployments with Azure PowerShell cmdlets, and learn how to provision Azure services on the fly. 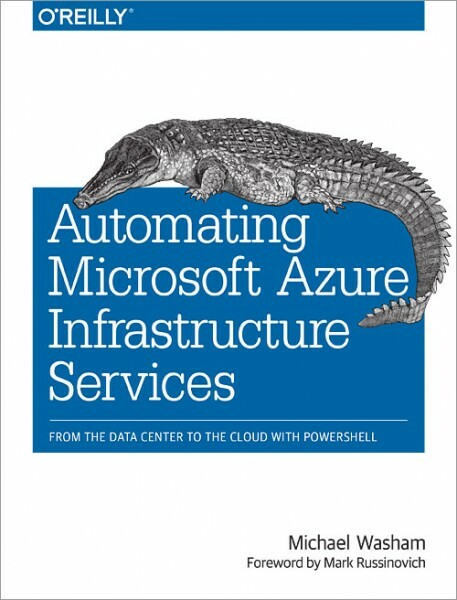 In this hands-on guide, Microsoft cloud technology expert Michael Washam shows you how to automate various management tasks and deploy solutions that are both complex and at scale. By combining the native automation capabilities of PowerShell with Azure Infrastructure Services, these powerful cmdlets enable you to create and configure virtual machines with ease. You’ll learn how to take advantage of these technologies to build complete virtual networks. If you have experience with PowerShell and Azure, you’re ready to get started.